Ryan Hartman | Clarksville Sports Network - Clarksville Tennessee's most trusted source for sports, including Austin Peay State University. 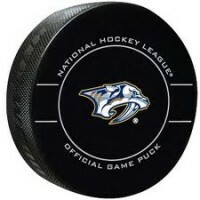 Dallas, TX– The Nashville Predators defeated the Dallas Stars in a highly entertaining game tonight 5-3. Pekka Rinne stood tall in net for the Predators to keep Nashville in this one, giving the boys a chance to win it. 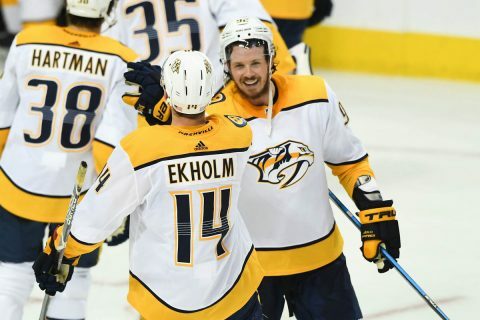 The Predators win the season series against the Stars with the win tonight, in what many feel will be a first round matchup for the Stanley Cup playoffs. The two teams have already been announced as the feature of the Winter Classic. 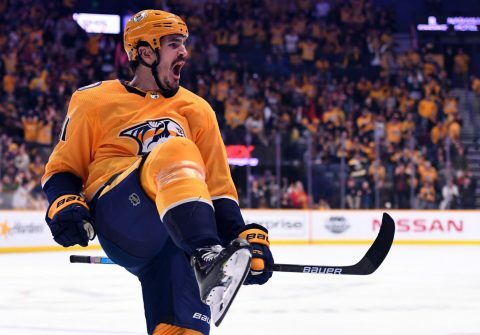 Brian Boyle continues to show why the Predators made a trade for him just a couple of weeks ago as he lit the lamp first for the Predators at 10:50 of the opening frame. It was Boyle’s second goal for the Predators since joining the team and got Nashville the early lead, 1-0. 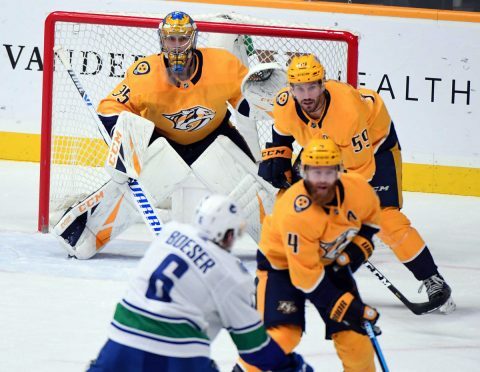 Vancouver, BC — The Nashville Predators dug too big of a hole in Vancouver tonight, and couldn’t climb back out, losing to the Vancouver Canucks, 5-3. Nashville is on a two game Canadian road trip and will travel to Calgary for a Saturday night matchup against the Flames. 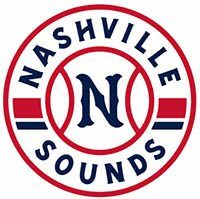 Vancouver will return to Nashville next week. Alexander Edler started the scoring for Vancouver at 7:48 of the first period with a slap shot that beat Pekka Rinne for the early 1-0 lead. Edler was assisted by Nikolay Goldobin and Elias Pettersson on the score. 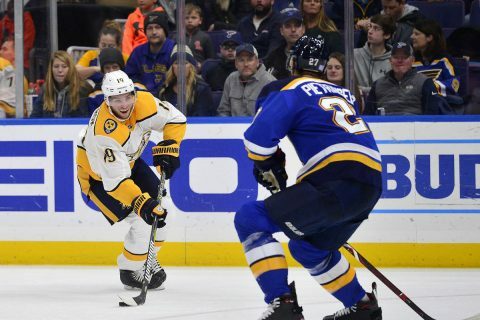 St. Louis, Mo — The Nashville Predators stunk it up tonight against the St. Louis Blues in the final game of their back-to-back series, losing 6-2. 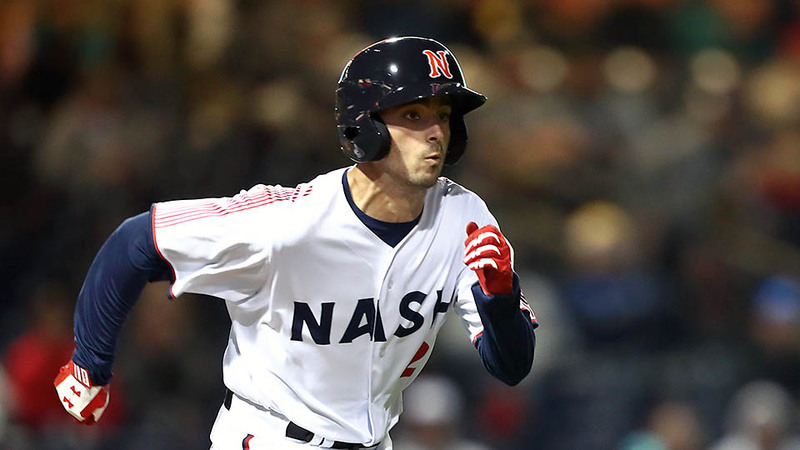 It was expected to be a tough night for Nashville after they defeated St. Louis in Nashville on Wednesday night, and the altercations were expected. Austin Watson and Patrick Maroon of the Blues went after each other just two seconds into the contest, dropping the gloves right out of the gate. 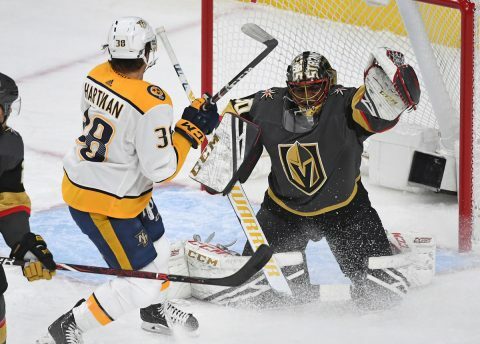 Then, just sixty seconds later, Nashville’s Ryan Hartman and Brayden Schenn came together, and the tone was set for the night. 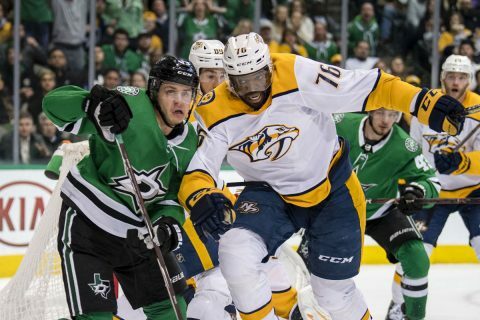 Clarksville, Tn — The Nashville Predators just wouldn’t quit against the Dallas Stars on Saturday afternoon, capping off a roaring comeback victory, 5-4. 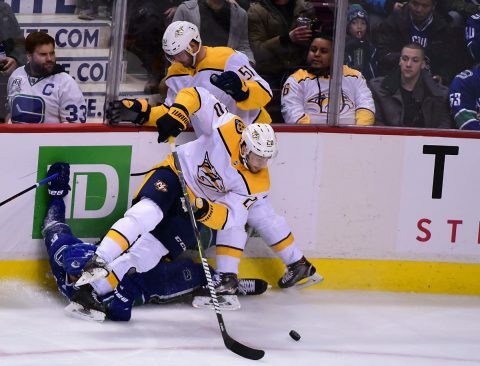 Mattias Ekholm closed the sale with his overtime winner at 2:27 of the extra frame. 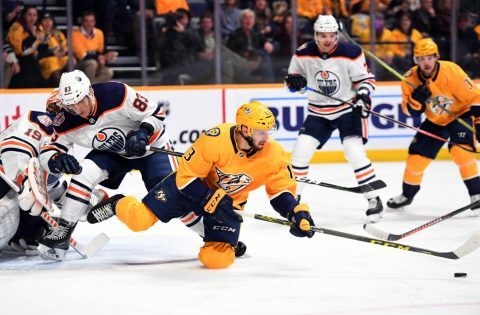 The Predators improve to an 8-0-0 road record for the year, which is the third longest win record to the start of an NHL season since the 2006-2007 season when the Buffalo Sabres won their first 10 games away from home.